Gates Garden Centre Gift Cards are the perfect flexible present for any occasion! They’re ideal for birthdays, weddings, anniversaries, Christmas, to say thank you or for any special occasion. The plastic Gift Cards are available in a range of attractive designs and are presented inside a matching greetings card with envelope. Cards can be redeemed throughout the Garden Centre, though not in concession stores or the Garden Restaurant and Tea Shop. Available in any denomination from £10 up to £500 and valid for 24 months from date of purchase. To purchase vouchers, either call in or buy by phone. Simply select from the designs above, telephone us on 01664 454309 and we will post it to you FREE by first class delivery*. * Recorded Delivery is charged extra. 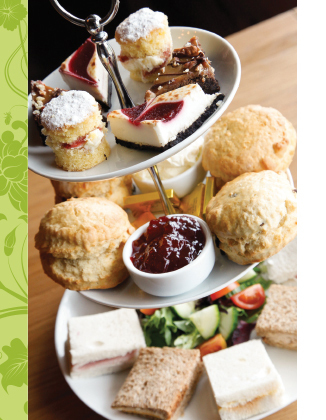 Afternoon Tea at Gates Garden Centre makes the perfect gift for your friends and family…and is great value at £24.99 for two! Tuck in to a delicious selection of bite-sized sandwiches, made to order with artisan bread from renowned Hambleton Bakery. Follow this with our home cooked plain and fruit scones, served with Brambles preserves and thick clotted cream. Afterwards enjoy a range of elegant and mouth-watering sweet delicacies, all handmade on the premises and may include individual Victoria sponges, chocolate cakes, Bakewell tarts or chocolate brownies. A pot of tea for two with china cups and saucers is the perfect accompaniment, or why not add a glass of Prosecco each for a small additional charge? Ideal in any season, Afternoon Tea is served in the cosy Garden Restaurant where you can choose to enjoy yours next to the wood burner in winter or on the veranda overlooking the lakes in summer. Served 2pm-4pm Monday to Friday and 2.30pm-4pm at weekends and bank holidays, booking is advisable but not essential. To purchase vouchers, either call in to the Garden Restaurant or telephone us on 01664 454309 and we will post them out to you FREE by first class delivery*. 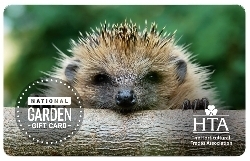 National Garden Gift Cards are also available to purchase and are redeemable at Gates Garden Centre, including the Garden Restaurant and Tea Shop. Available in any denomination from £5 up to £250 , please call at the till to buy these.